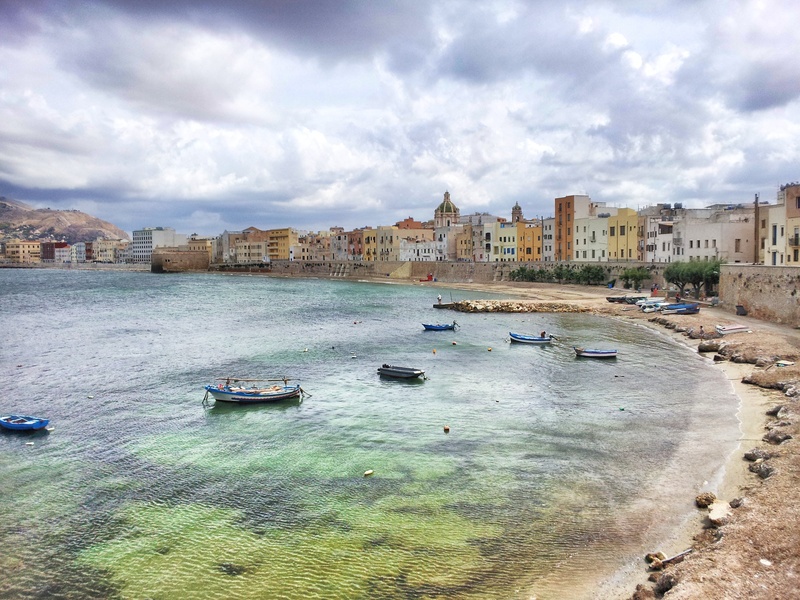 Trapani on a late September day. 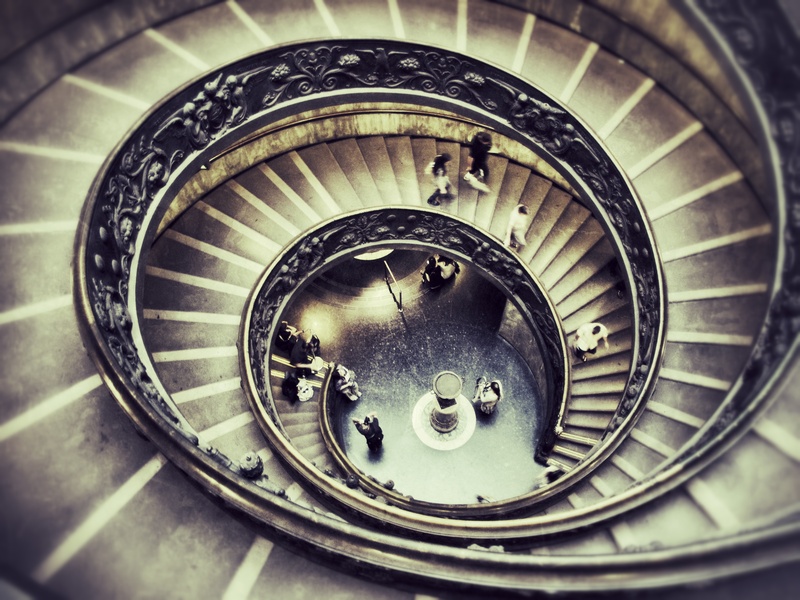 The amazing staircase of the Vatican museums. 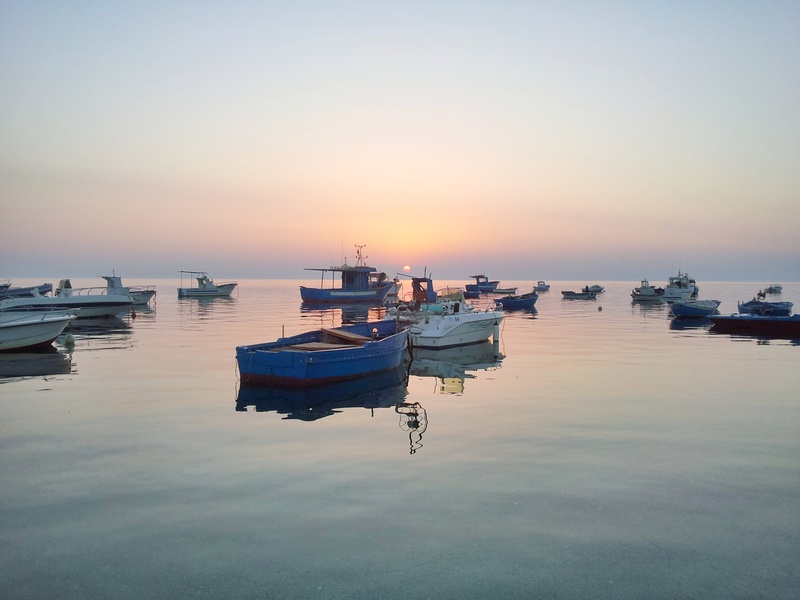 Sunset at the coast of Western Sicily. 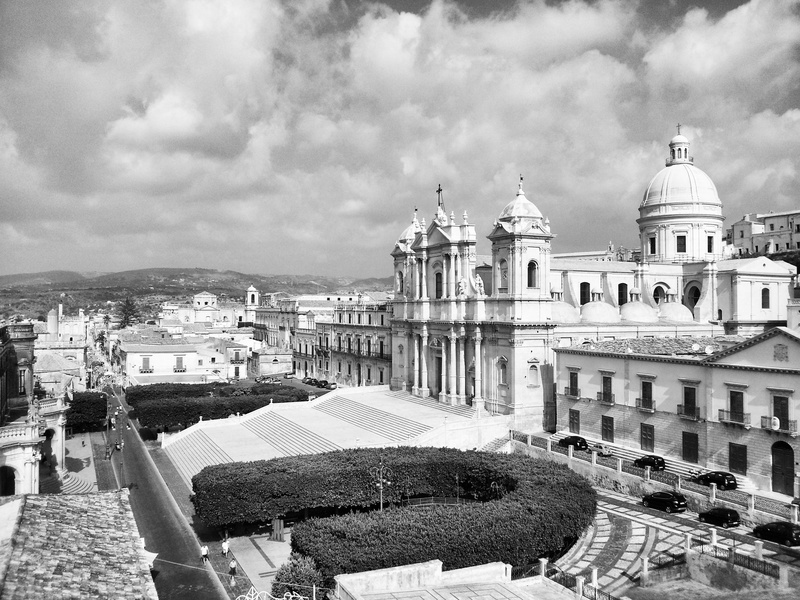 The Cathedral of Modica in Central Sicily. A view over the Bay of Naples. 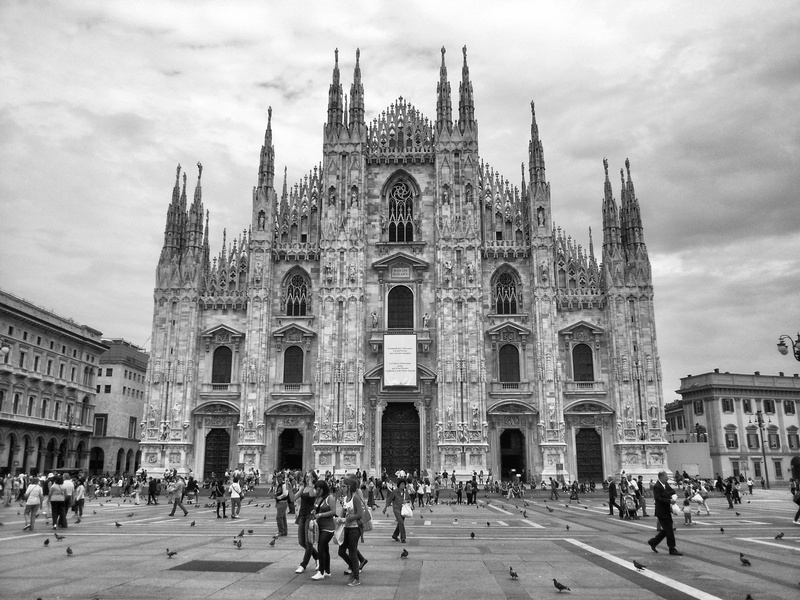 The world famous cathedral of Milano. A beautiful piece of Gothic architecture in black and white. 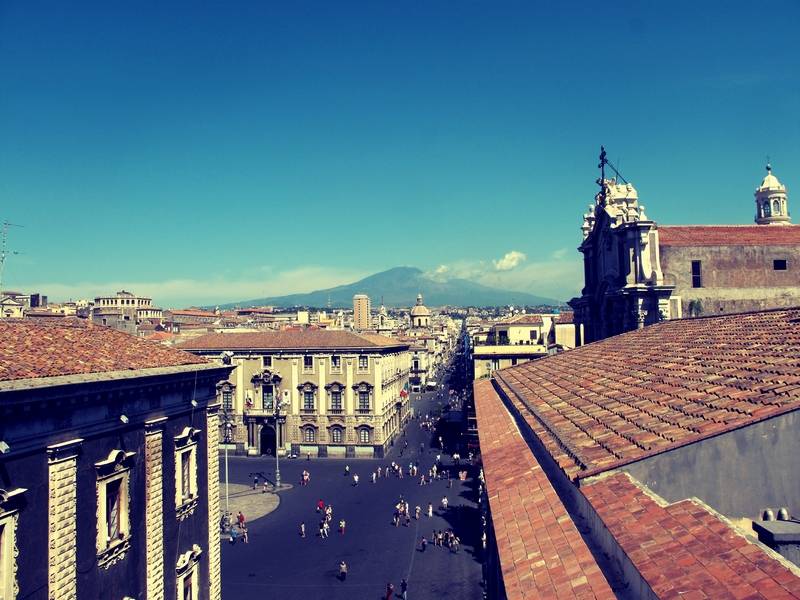 Catania is an amazing city. Build on the foot of a massive volcano (Etna) it was destroyed and rebuild a couple of times. 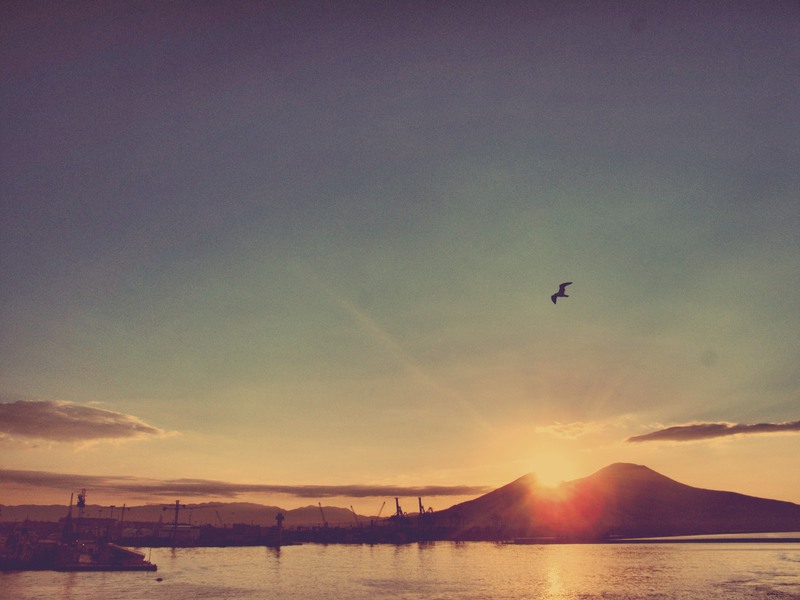 A fitting alternative name for the city would be Phoenix, as it has risen from the ashes like the legendary bird. In Catania the streets and many buildings are made out of lavastone (basalt) and it may happen very well, that you end in the cellar of a bar in which there are still traces of old lava flows under your table (Agora Hostel Bar). If you are on the main square (Piazza del Duomo) be sure to visit the Cathedral and enjoy this magnificent view from the rooftop. Actually this shot is not from 2012. But it fit’s quite well so here it be 🙂 Personally I adore Vespas. 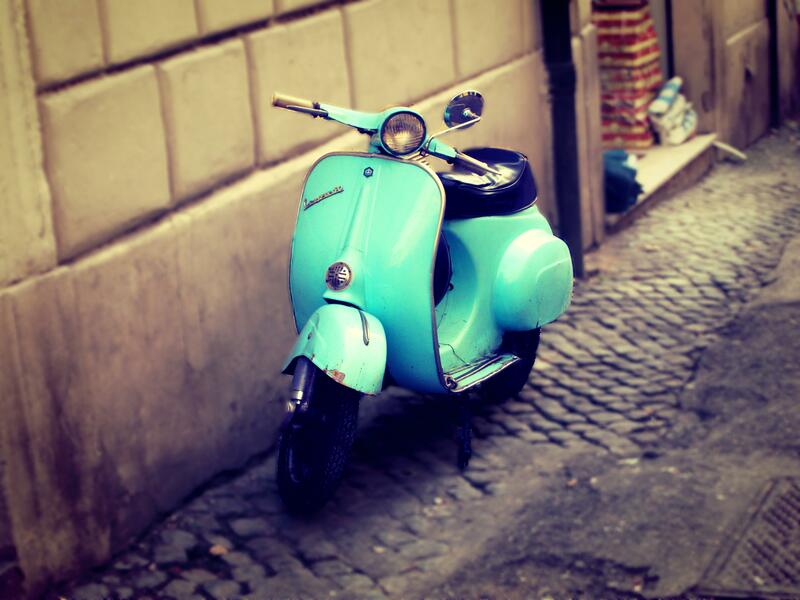 And a beautiful turquoise Vespa in Rome must be a win, no? 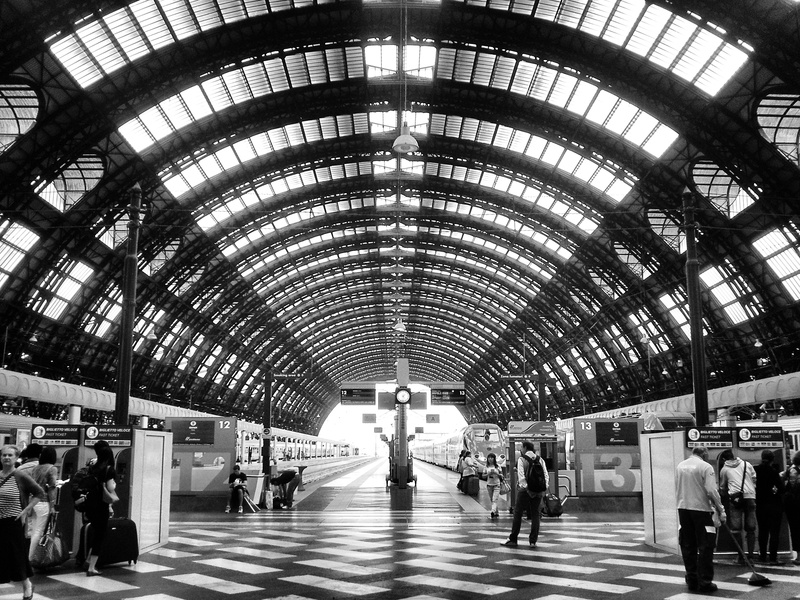 The train station was build by the Fascists under Mussolini. 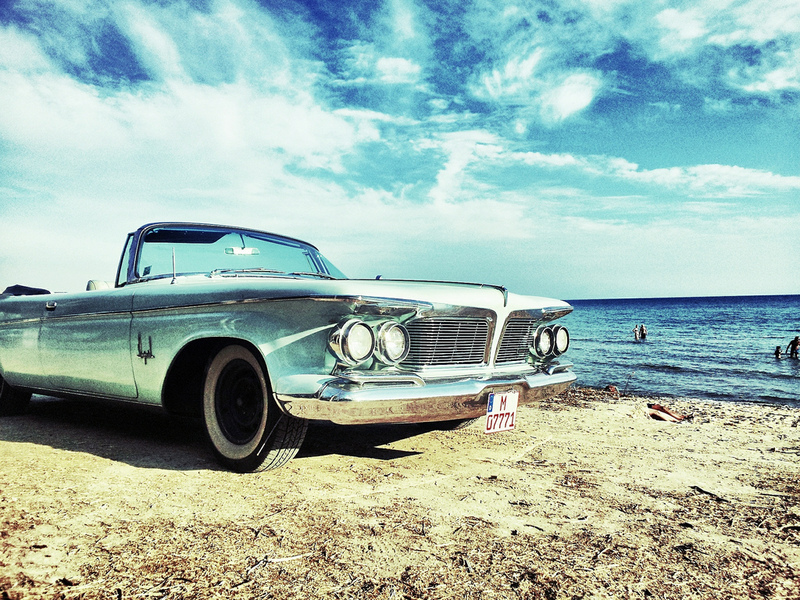 It is colossal in size and displays various sceneries of Italian life and culture. Today large commercial ads dominate. It is still a fascinating piece of 20th century architecture and a prominent showcase for totalitarian gigantism. It was the beginning of a warm day in late summer, sailing on board of a ferry into the natural Bay of Naples. 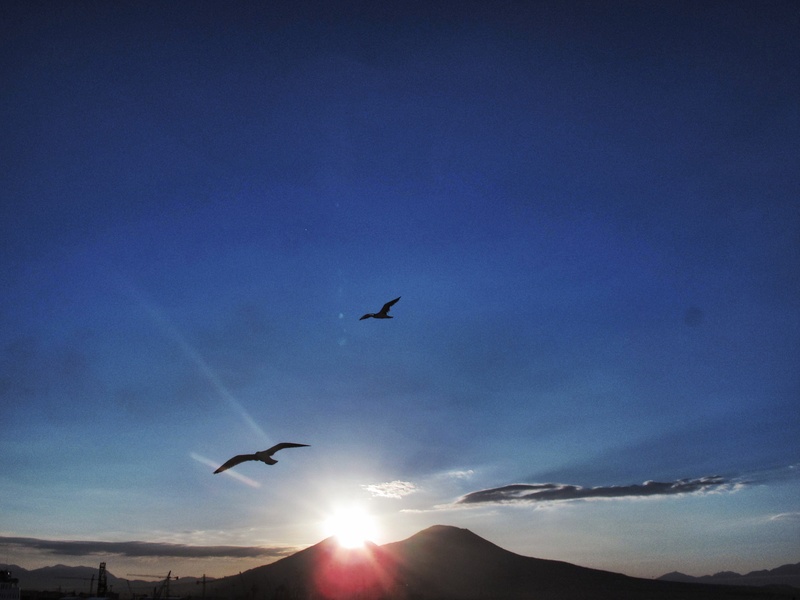 As we came on deck we had the privilege to witness this beautiful sunrise over the Vesuvio volcano. The view was stunning and we watched with a humbled AAW. Although we didn’t sleep much on the ferry this night and we had a long program ahead of us in Naples, this sunrise was enough to carry us through the day.